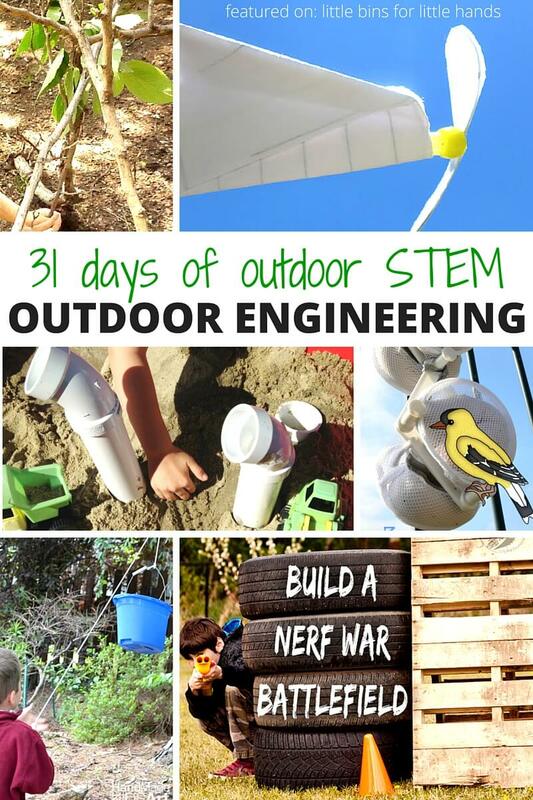 We have now wrapped up two weeks of our 31 Days of Outdoor STEM! Check out our first week here. This week there were 11 awesome outdoor engineering activities contributed to our month of outdoor STEM. I wanted to gather them all in one place for you to reference over the summer! 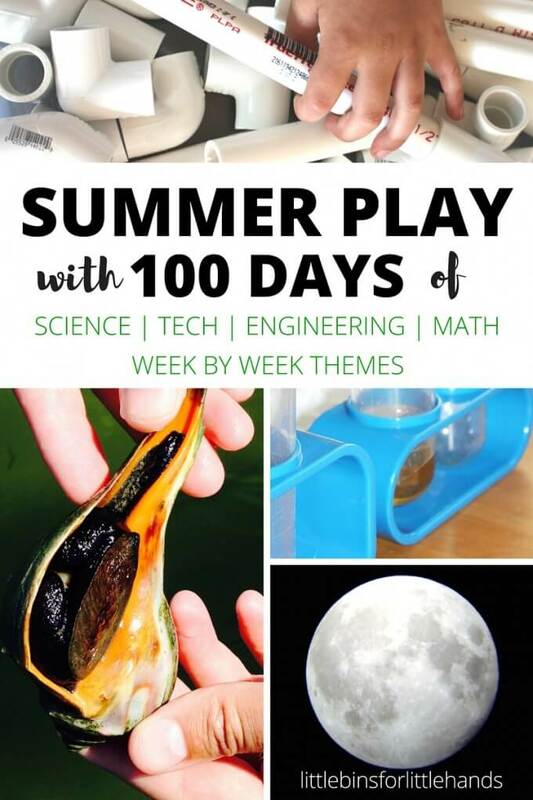 Simple engineering projects and STEM ideas are perfect for having fun and learning too all summer long! 11 OUTDOOR ENGINEERING ACTIVITIES FOR KIDS! LET’S GET STARTED WITH FUN OUTDOOR ENGINEERING ACTIVITIES! Have you ever built a stick fort in the woods? This is such a classic outdoor activity, but it is an awesome STEM project too! A lot of thought and planning goes into the engineering process when you decide to build a stick fort. Who knew! Take engineering into the sandbox or sand bin with this simple engineering sensory play idea for young kids. If you have a little engineer this is a terrific, playful way to introduce STEM with open ended play! Do your kids love nerf guns? Make the most out of that interest by having them design and engineer their own nerf war battlefield for a very cool STEM project and plenty of outdoor play all summer long. Plus it can be designed and redesigned over and over again. Take paper airplane making to a whole new level and take it outdoors with this cool idea. Engineer this! Build and design a propeller paper plane. Engineering, physics, and a whole lot of STEM fun for outdoor play and learning. Build a clock out of natural elements! You can build your own water clock and test your design and engineering skills too by creating an ancient form of time telling! Design and build another ancient form of telling time with a homemade sun dial, perfect for the garden! Makes both a terrific STEM and history project as you study ancient societies. Pretty cool engineering! A backyard Finch bird feeder is an excellent outdoor engineering project that will also give you a nice opportunity to study birds and environmental science. We love having a backyard pulley for play and learning. This STEM project is an awesome engineering idea for kids of all ages as they learn about simple machines, loads, and forces! Plus it is a simple and inexpensive project to get set up. Catapults are super fun to build and play with for STEM projects all year round. Can you design a catapult out of natural elements? Take this STEM challenge outdoors and design a stick catapult that really works! Engineer this! Design and build your own baking soda powered boat. Combine a cool engineering project with a favorite chemical reaction and see what happens! Can you make your boat go? Grab a bucket of water, head outdoors, and find out! Complementing our stick fort engineering activity is a stick teepee building project! Build a teepee outdoors and with this STEM challenge using only natural materials! Make sure to subscribe for weekly updates! 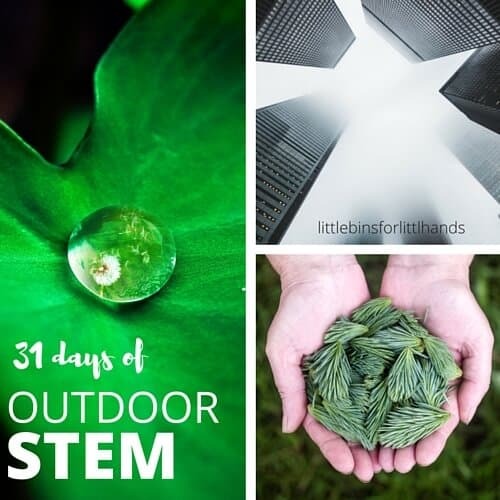 MAKE SURE TO CHECK OUT THE ENTIRE 31 DAYS OF OUTDOOR STEM!